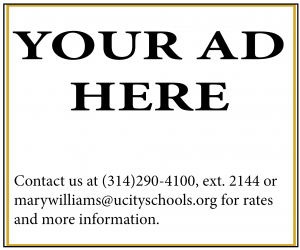 Make checks payable to UCHS U-Times. Photographs, artwork, typesetting, and design are all included in the price of the advertisement. Certain special effects or excessive work is extra. We reserve the right to deny any advertisement that contains inappropriate content. The student business manager will obtain authorization for the advertiser for any additional work. Advertisers may provide a camera-ready copy or students can help you create your own advertisements. We know our readers, and our goal is to help you reach that market.